Support our tradition of dance excellence and diversity. 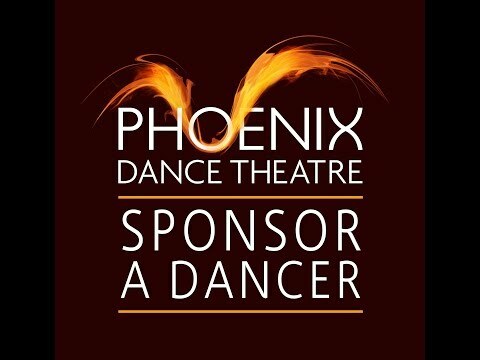 Phoenix Dance Theatre’s Sponsor A Dancer fundraising campaign is a very rewarding and special way to be involved with the company and support the work we do. Find out more about our dancers by watching the video on this page or reading their biographies here. For ways to donate click here now. Phoenix Dance Theatre has been producing high quality dance productions for over 3 decades. We are the longest standing national contemporary dance company outside of London. Phoenix boasts some of the most accomplished dancers in the contemporary dance sector. Our diverse company of talented and professionally trained dancers are our greatest asset. They deliver over 30 stunning performances each year to enthusiastic audiences across the UK and internationally. They teach and inspire the next generation of aspiring dancers through our outreach programme in schools, colleges and conservatoires. Behind the scenes, we hone and nurture the skills of our dancers to ensure that they always deliver strong and technically flawless performances. We do this at considerable costs. In doing so, you contribute to their professional development, the costs for them to remain fit and healthy and to retain our cast of remarkable talent that creates Phoenix’s unique brand of athletic power and world class dance. With a donation that starts at £50 annually or £5 per month, you will help sustain our artistic legacy for future years. A specially curated e-newsletter with photos, videos and updates of our dancers on tour. Acknowledgement of your support on our website and selected promotional materials. £100 donation – Above + Special behind-the-scenes invitation to a studio rehearsal or to meet the dancers backstage on tour. £200 donation – Above + a VIP invitation to see one of our shows. ***Bespoke benefit packages for larger donations. Please contact the development team for further information. ** If your sponsored dancer leaves the company during the year of your sponsorship, we will assign you another dancer with your permission. Donate via Big Give* at http://bit.ly/sponsordancer to pay with debit or credit card with the amount you would like to give. Download and send us this form with the dancer you would like to sponsor by post or email and to let us know you have donated. Please make the cheque payable to Phoenix Dance Theatre. Download and send us this form with the dancer you would like to sponsor to the postal address listed below and to let us know you have donated.